Thank you for joining us on the Release Day Celebrations and Virtual Book Tour for The Art of Breathing, a Contemporary Romance by Janie DeVos (28 February 2017, Lyrical Press, 236 pages). 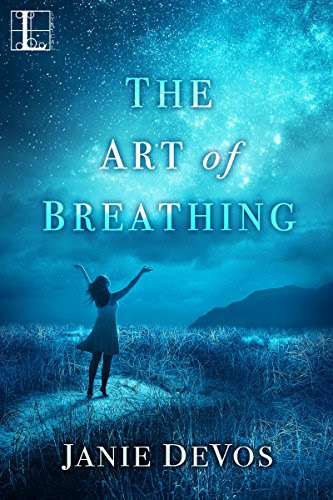 Author Janie DeVos will be awarding a copy of The Art of Breathing to a randomly drawn winner via Rafflecopter during the tour. Please do take part: comment on our post and follow the tour where you will be able to read other excerpts (☀). From author Janie DeVos comes a poignant and richly detailed novel set in 1950s North Carolina, where one young woman struggles to save her own life—and finds the strength to truly live it. 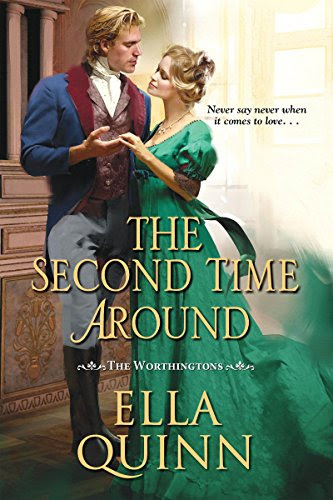 Thank you for joining us for the Release Day Celebrations for The Second Time Around, a Regency Historical Romance by Ella Quinn (28 February 2017, Zebra, 104 pages). This novella is book 2.5 in The Worthingtons series. Author Ella Quinn will be awarding a $10 Amazon/BN gift card to a randomly drawn winner via Rafflecopter during the tour. Please do take part: comment on our post and follow the tour where you will be able to read other excerpts (☀), and reviews (✍). 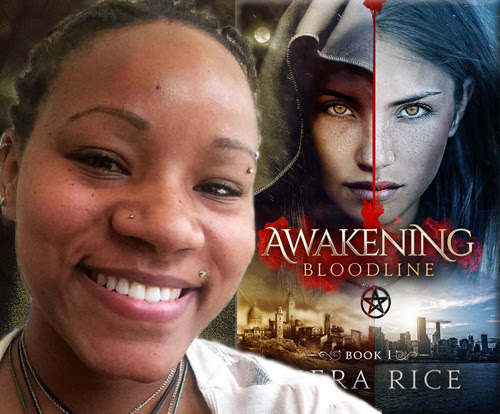 Today we have the pleasure of meeting up with author Tiera Rice to talk about Awakening (12 October 2016, Eula Rae Printing & Publishing, 254 pages), a New Adult Paranormal Fantasy, book one of Bloodline series. Thank you for joining us on the Virtual Book Tour for Awakening, a New Adult Paranormal Fantasy by Tiera Rice (12 October 2016, Eula Rae Printing & Publishing, 254 pages). This is the first book in the Bloodline series, a New Adult Paranormal Fantasy. 10% of proceeds go to 26forTiera, a not-for profit organization that Tiera and her mother created for single parents under 30 suffering from a chronic illness. Those eligible will receive a grant for $2600. Don't miss our interview with author Tiera Rice. 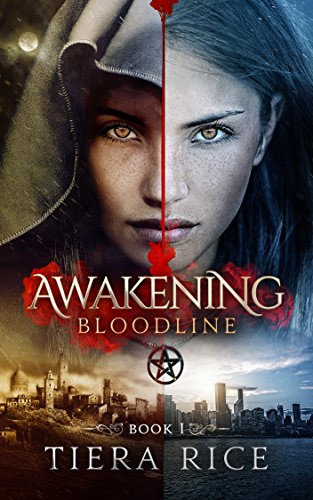 Author Tiera Rice will be awarding a $25 Amazon GC, and a Signed Copy of Bloodline: Awakening to randomly drawn winners via Rafflecopter during the tour. Please do take part: comment on our post and follow the tour where you will be able to read other excerpts (☀), interviews (ℚ), reviews (✍) and guest blog posts (✉). 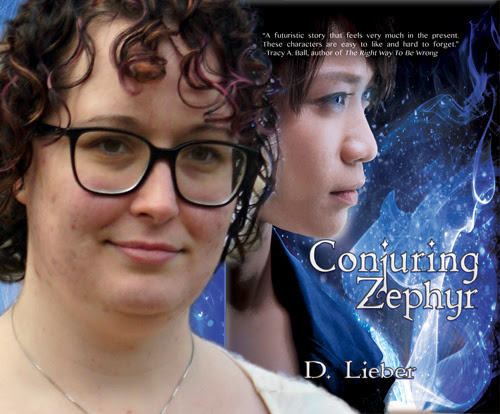 Today we have the pleasure of meeting up with author D. Lieber to talk about Conjuring Zephyr (23 June 2016, Black Rose Writing, 153 pages), a Fantasy Romance. A very warm welcome to D. Lieber; thank you for joining us on BooksChatter! What was the inspiration for Conjuring Zephyr? "My inspiration for Conjuring Zephyr was my love for reverse harem anime and Korean drama. I wanted to use the archetypes of that genre and let them loose in my own world, to challenge gender stereotypes, and introduce the common Asian genre to Western audiences in an easily digestible way. I also wanted to see what questioning and challenging a society’s established principles of science looked like, which I feel modern scientists have gotten away from." 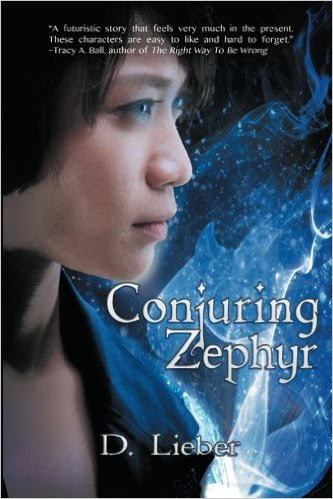 Thank you for joining us on the Virtual Book Tour for Conjuring Zephyr, a Fantasy Romance by D. Lieber (23 June 2016, Black Rose Writing, 153 pages). Author D. Lieber will be awarding a handmade bookmark to a randomly drawn winner via Rafflecopter during the tour. 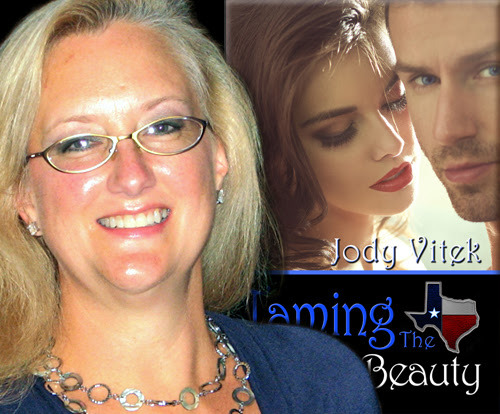 Today we have the pleasure of meeting up with author Jody Vitek to talk about Taming the Texas Beauty (22 November 2016, Satin Romance Imprint of Melange Books, LLC, 163 pages), a Contemporary Romance, book two in the Texas series. Thank you for joining us on the Virtual Book Tour for Taming the Texas Beauty, a Contemporary Romance by Jody Vitek (22 November 2016, Satin Romance Imprint of Melange Books, LLC, 163 pages). This is the third book in the Texas series. Don't miss our interview with author Jody Vitek. Author Jody Vitek will be awarding a $25 Amazon/BN gift card to a randomly drawn winner via Rafflecopter during the tour. Please do take part: comment on our post and follow the tour where you will be able to read other excerpts (☀), interviews (ℚ), reviews (✍) and guest blog posts (✉). 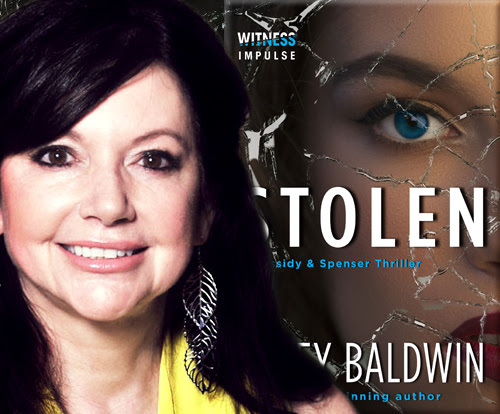 Today we have the pleasure of meeting up with author Carey Baldwin to talk about Stolen (14 February 2017, Witness Impulse, 292 pages), a Psychological Thriller, book four of the Cassidy & Spenser Thrillers series. Thank you for joining us on the Virtual Book Tour for Revealing Nicola, a Romantic Suspense by Sam Cheever (7 February 2017, Electric Prose Publications, 181 pages). 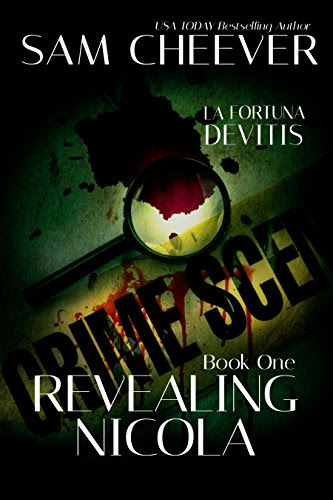 This is the first book in the La Fortuna DeVitis series. Author Sam Cheever will be awarding a $20 Amazon gift card to a randomly drawn winner via Rafflecopter during the tour. Please do take part: comment on our post and follow the tour where you will be able to read other excerpts (☀), and reviews (✍). What would you do if you discovered you weren’t who you thought you were? Thank you for joining us on the Virtual Book Tour for Stolen, a Psychological Thriller by Carey Baldwin (14 February 2017, Witness Impulse, 292 pages). This is the fourth book in the Cassidy & Spenser Thrillers series. 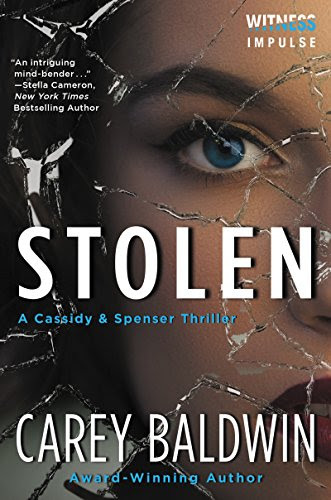 Author Carey Baldwin will be awarding a digital copy of Stolen to five randomly drawn winners via Rafflecopter during the tour. Please do take part: comment on our post and follow the tour where you will be able to read other excerpts (☀), interviews (ℚ), reviews (✍) and guest blog posts (✉). Today author Eve Langlais takes over our blog to tell us about her latest novel, Becoming Dragon (1 January 2017, 250 pages), a Contemporary Romance, book one of Dragon Point series. When it comes to writing, I am very structured. You might even call me rigid even in my schedule. Thank you for joining us on the Virtual Book Tour for Becoming Dragon, a Contemporary Romance by Eve Langlais (1 January 2017, 250 pages). This is the fist book in the Dragon Point series. Don't miss our interview with author Eve Langlais. Author Eve Langlais will be awarding a $50 Amazon/BN gift card to a randomly drawn winner, and three print copies of her book to three other randomly drawn winners via Rafflecopter during the tour. Please do take part: comment on our post and follow the tour where you will be able to read other excerpts (☀), interviews (ℚ), and guest blog posts (✉). 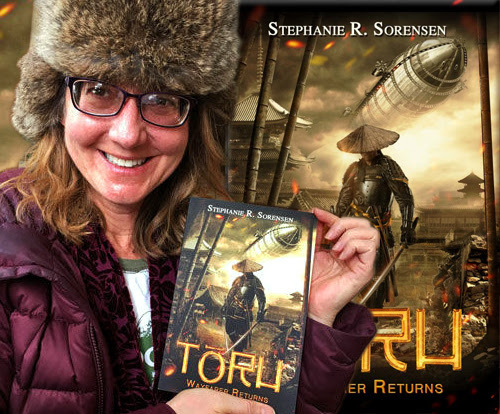 Today author Stephanie R. Sorensen takes over our blog to tell us about her latest novel, Toru: Wayfarer Returns (16 February 2016, Palantir Press, 276 pages), an Historical Steampunk novel, book one of Sakura Steam series. If I’d Never Heard of Me, Would I Read My Book? 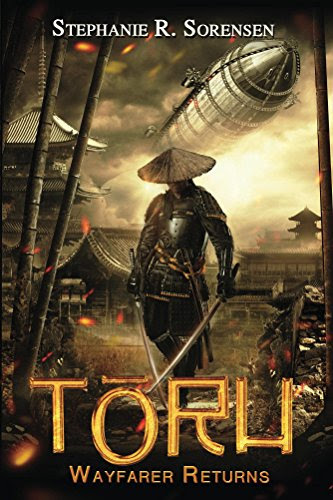 Thank you for joining us on the Virtual Book Tour for Toru: Wayfarer Returns, an Historical Steampunk novel by Stephanie R. Sorensen (16 February 2016, Palantir Press, 276 pages). This is the first book in the Sakura Steam series. Don't miss our guest post by author Stephanie R. Sorensen: "If I’d Never Heard of Me, Would I Read My Book?" Author Stephanie R. Sorensen will be awarding a $50 Amazon/BN gift card to a randomly drawn winner via Rafflecopter during the tour. Please do take part: comment on our post and follow the tour where you will be able to read other excerpts (☀), interviews (ℚ), reviews (✍) and guest blog posts (✉). 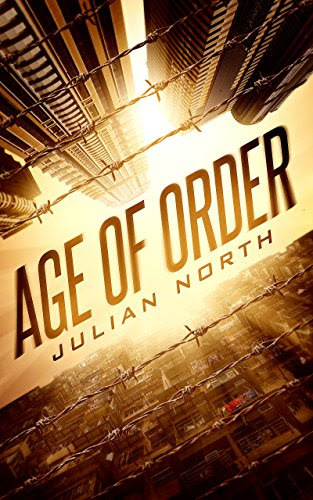 Today we have the pleasure of meeting up with author Julian North to talk about Age of Order (6 February 2017, Plebeian Media, 339 pages), a Young Adult Dystopian. Thank you for joining us on the Virtual Book Tour for The Wages of Sin, a Crime Thriller by Bo Brennan (14 January 2017, Bo Brennan, 422 pages). This is the third book in the Detective India Kane & AJ Colt series. ONLY 0.99 through 19 February 2017! PREVIEW: Check out the book's synopsis and the Kindle Cloud Reader Preview below. The Wages of Sin is FREE on Kindle Unlimited and Kindle Owner's Lending Library. 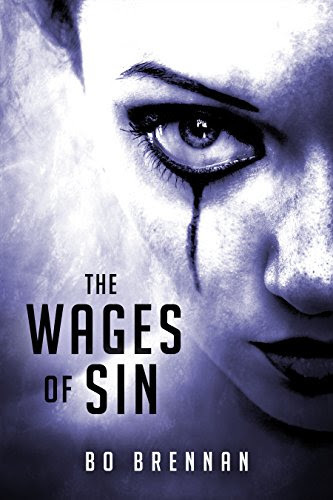 Author Bo Brennan will be awarding an ebook copy of The Wages of Sin to five randomly drawn winners via Rafflecopter during the tour. Please do take part: comment on our post and follow the tour where you will be able to read other excerpts (☀). Thank you for joining us on the Virtual Book Tour for Ancient Ties, a Wolf Shifters Romance by Marie Johnston (24 January 2017, Marie Johnston, 171 pages). This is the second book in the Pale Moonlight series. Author Marie Johnston will be awarding a $10 Amazon/BN gift card to a randomly drawn winner via Rafflecopter during the tour. Please do take part: comment on our post and follow the tour where you will be able to read other excerpts (☀). 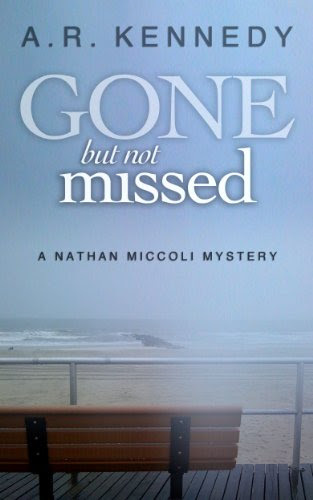 Thank you for joining us on the Virtual Book Tour for Gone But Not Missed, a Mystery by A.R. Kennedy (14 November 2013, A.R. Kennedy, 307 pages). This is the first book in the Nathan Miccoli Mysteries series. Author A.R. Kennedy will be awarding a $10 Amazon/BN gift card to a randomly drawn winner via Rafflecopter during the tour. Please do take part: comment on our post and follow the tour where you will be able to read other excerpts (☀), and reviews (✍). 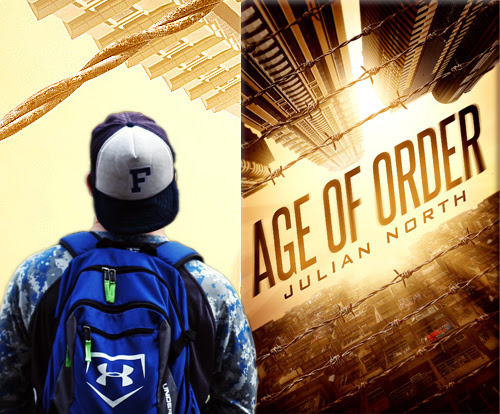 Thank you for joining us on the Virtual Book Tour for Age of Order, a Young Adult Dystopian by Julian North (6 February 2017, Plebeian Media, 339 pages). Don't miss our interview with author Julian North. PREVIEW: Check out the book's synopsis, trailer and the Kindle Cloud Reader Preview below. Age of Order is FREE on Kindle Unlimited and Kindle Owner's Lending Library and it is on sale for ONLY 0.99! Author Julian North will be awarding a $50 Amazon/BN gift card to a randomly drawn winner via Rafflecopter during the tour. Please do take part: comment on our post and follow the tour where you will be able to read other excerpts (☀), interviews (ℚ), reviews (✍) and guest blog posts (✉). 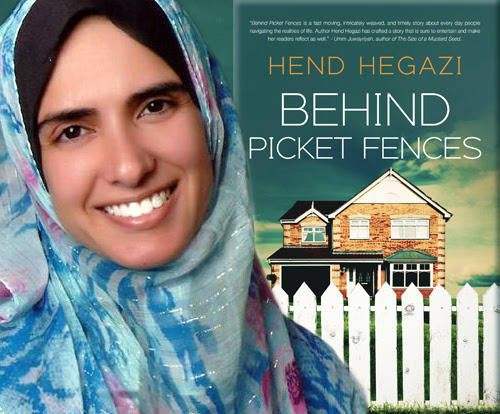 Today we have the pleasure of meeting up with author Hend Hegazi to talk about Behind Picket Fences (29 June 2016, FB Publishing, 236 pages), a Contemporary Fiction. "Behind Picket Fences is a fast moving, intricately weaved, and timely story about every day people navigating the realities of life. Author Hend Hegazi has crafted a story that is sure to entertain and make her readers reflect as well." - Umm Juwayriyah, author of The Size of a Mustard Seed. 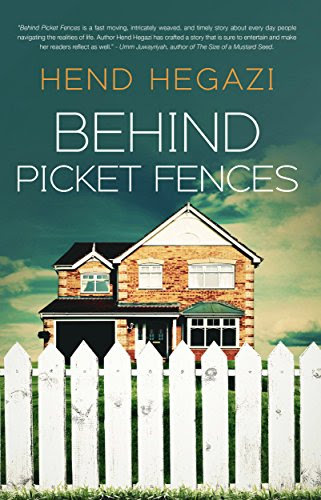 Thank you for joining us on the Virtual Book Tour for Behind Picket Fences, a Contemporary Fiction by Hend Hegazi (29 June 2016, FB Publishing, 236 pages). Don't miss our interview with author Hend Hegazi. PREVIEW: Check out the book's synopsis and the Kindle Cloud Reader Preview below. Behind Picket Fences is FREE on Kindle Unlimited and Kindle Owner's Lending Library. Author Hend Hegazi will be awarding a copy of Normal Calm and a copy of Behind Picket Fences to a randomly drawn winner via Rafflecopter during the tour. 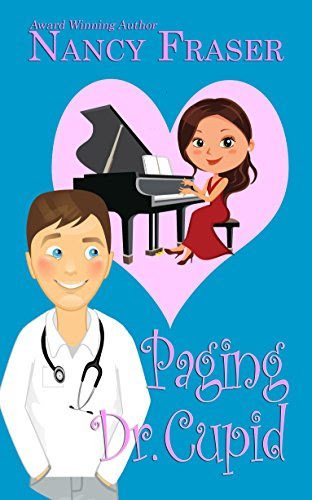 Thank you for joining us on the final day of the Virtual Book Tour for Paging Dr. Cupid, a Vintage (1960s) Historical Romance by Nancy Fraser (3 February 2017, The Wild Rose Press, Inc, 82 pages). PREVIEW: Check out the book's synopsis, trailer and the Kindle Cloud Reader Preview below, as well as Only Yours, (prelude to Paging Dr. Cupid). Author Nancy Fraser will be awarding a $10 Amazon/BN GC to a randomly drawn winner and a digital copy of Only Yours to two randomly drawn winners via Rafflecopter during the tour. 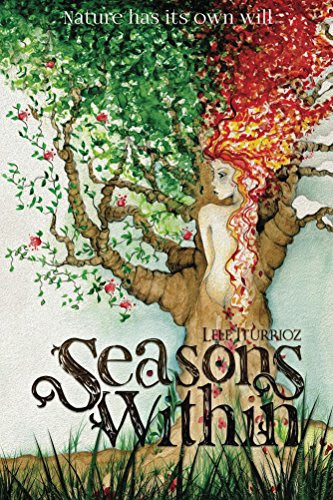 Today we have the pleasure of meeting up with author Lele Iturrioz to talk about Seasons Within - Seasons Within (1 December 2016, Acorn Publishing, 306 pages), a Young Adult Fantasy, book first of Seasons Within series. “Seasons Within should come with a warning, so here it is: Careful, highly addictive!” Adriana González Marquez, Best Selling Author. A very warm welcome to Lele Iturrioz; thank you for joining us on BooksChatter! To my delight, we start with Lele's music playlist for Seasons Within - enjoy! 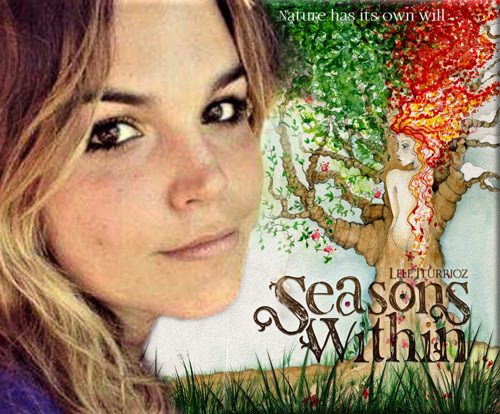 Thank you for joining us on the Virtual Book Tour for Seasons Within - Nature has its own will, a Young Adult Fantasy by Lele Iturrioz (1 December 2016, Acorn Publishing, 306 pages). This is the first book in the Seasons Within series. Don't miss our interview with author Lele Iturrioz. PREVIEW: Check out the book's synopsis and the Kindle Cloud Reader Preview below. Nature has its own will is FREE on Kindle Unlimited and Kindle Owner's Lending Library. Author Lele Iturrioz will be awarding a signed copy of Seasons Within + Character’s handmade necklace to a randomly drawn winner via Rafflecopter during the tour. Please do take part: comment on our post and follow the tour where you will be able to read other excerpts (☀), interviews (ℚ), reviews (✍) and guest blog posts (✉). 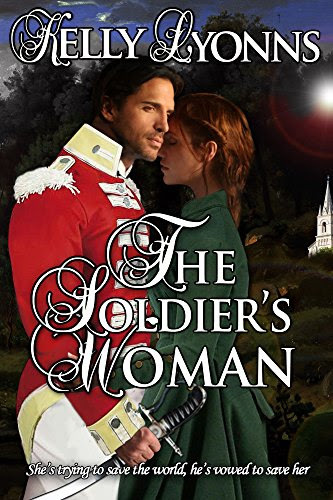 Thank you for joining us on the Virtual Book Tour for The Soldier's Woman, an Historical Regency Romance by Kelly Lyonns (8 February 2017, Atlas Productions, 260 pages). This is the first book in The Bladewood Legacy series. Author Kelly Lyonns will be awarding a digital copy of The Soldier's Woman to five randomly drawn winner via Rafflecopter during the tour. Please do take part: comment on our post and follow the tour where you will be able to read other excerpts (☀),and reviews (✍). There really were times when being a petite well-bred lady was positively tedious. Today we have the pleasure of meeting up with author Brenda Drake to talk about Guardian of Secrets (7 February 2017, Entangled: Teen, 400 pages), a Young Adult Fantasy, book two of the Library Jumpers series. 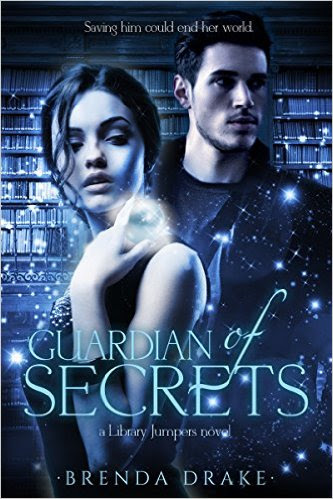 Thank you for joining us on the Virtual Book Tour to celebrate the release of Guardian of Secrets, a Young Adult Fantasy by Brenda Drake (7 February 2017, Entangled: Teen, 400 pages). This is the second book in the Library Jumpers series. Don't miss our interview with author Brenda Drake. 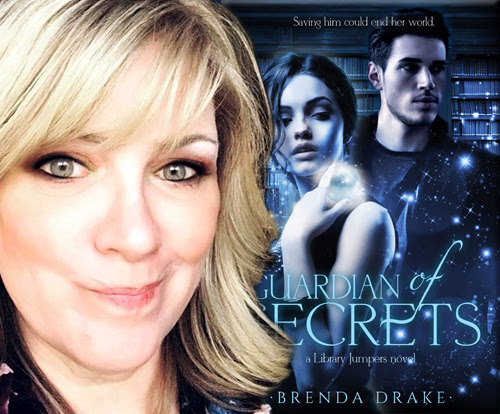 Author Brenda Drake will be awarding a $50 Amazon Gift Card with Guardian of Secrets swag pack to a randomly drawn winner via Rafflecopter during the tour. Please do take part: comment on our post and follow the tour where you will be able to read other excerpts (☀), interviews (ℚ), reviews (✍) and guest blog posts (✉). 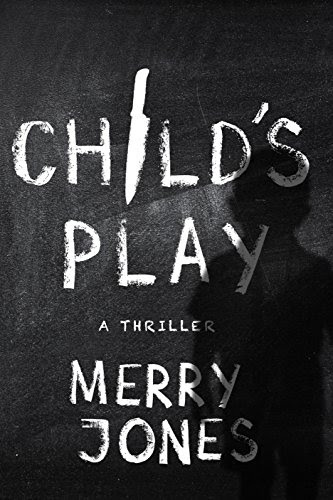 Today we have the pleasure of meeting up with author Merry Jones to talk about Child's Play (3 January 2017, Oceanview Publishing, 307 pages), a Suspense Thriller, book three of the Elle Harrison Thrillers series. Thank you for joining us on the Virtual Book Tour for The Fixer: The Naked Man, a Suspense Crime Thriller by Jill Amy Rosenblatt (21 July 2015, Jill Amy Rosenblatt, 181 pages). This is the first book in the Katerina Mills series. 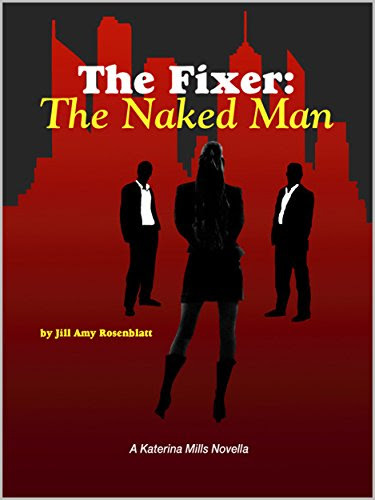 Author Jill Amy Rosenblatt will be awarding an eBook copy of The Fixer: The Naked Man to five randomly drawn winners via Rafflecopter during the tour. Please do take part: comment on our post and follow the tour where you will be able to read other excerpts (☀), and reviews (✍). Following our Release Day Celebrations on 3 January, thank you for joining us for the Virtual Tour for Child's Play, a Suspense Thriller by Merry Jones (3 January 2017, Oceanview Publishing, 307 pages). This is the third book in the Elle Harrison Thrillers series. Don't miss our interview with author Merry Jones. 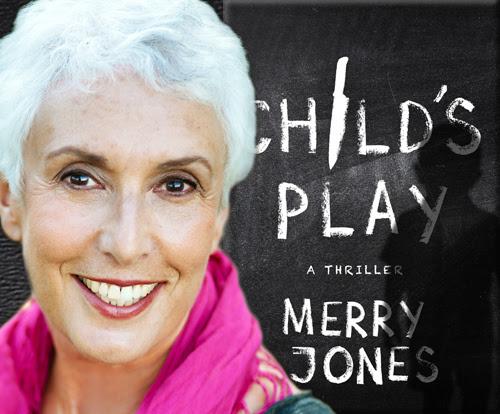 Author Merry Jones will be awarding a $15 Amazon.com Gift Voucher, and one ebook copy of Child's Play to another three randomly drawn winners via Rafflecopter during the tour. Please do take part: comment on our post and follow the tour where you will be able to read other excerpts (☀). Today we have the pleasure of meeting up with author David Carnoy to talk about Lucidity (7 February 2017, Overlook Press, 304 pages), a Mystery Thriller, book three of Detective Hank Madden series. 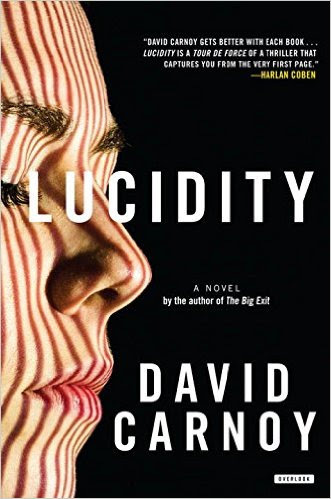 Thank you for joining us on the Virtual Book Tour for Lucidity, a Mystery Thriller by David Carnoy (7 February 2017, Overlook Press, 304 pages). This is the third book in the Detective Hank Madden series. Don't miss our interview with author David Carnoy. 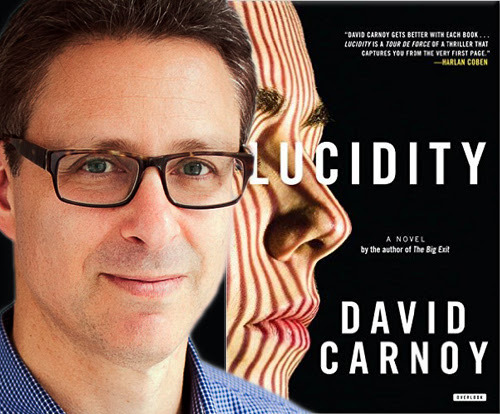 Author David Carnoy will be awarding a $20 Amazon gift card to a randomly drawn winner, and one ebook copy of Lucidity to five other winners via Rafflecopter during the tour. Please do take part: comment on our post and follow the tour where you will be able to read other excerpts (☀), interviews (ℚ), reviews (✍) and guest blog posts (✉). Today author Bernard Maestas takes over our blog to tell us about his latest novel, Concrete Smile (9 December 2016, Rebel ePublishers, 324 pages), a Crime Thriller. 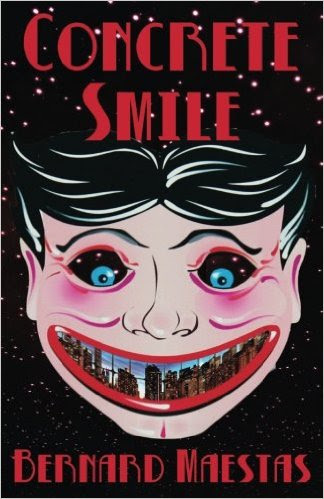 One of the most common questions I get asked is “How long does it take you to write a book.” I love answering that I wrote “Concrete Smile” in a week because, from one perspective, it sounds impressive. Then again, some might hear that I just threw it together, haphazardly, in a few days and that, certainly is not the case. Following our Release Celebrations in December 2016, welcome back for the Virtual Book Tour for Concrete Smile, a Crime Thriller by Bernard Maestas (9 December 2016, Rebel ePublishers, 324 pages). Don't miss our Guest Post by author Bernard Maestas. 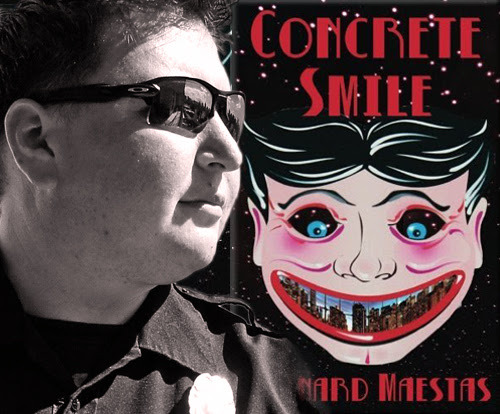 Author Bernard Maestas will be awarding an autographed paperback copy , and two eBook copies of Concrete Smile by to randomly drawn winners via Rafflecopter during the tour. Someone wants a war. Someone has taken a match to the criminal underbelly of Newport City and turned its factions against each other. The city's only hope lies in the hands of an unlikely trio.